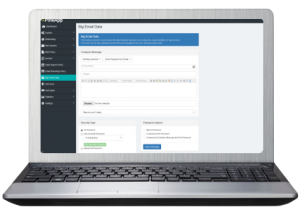 PineApp Mail Secure offers advanced threat protection for mail servers. With a multi layered approach to security, PineApp Mail Secure offers modularised anti-virus, anti-spam, sandboxing, content filtering and more on premises or in the cloud. Mail Secure provides complete protection from all known viruses, worms and Trojan-horses and includes Zero-Hour detection by using a multi-layered anti-virus system combined with a traditional antivirus engine. All anti-virus layers are updated frequently by external dynamic databases allowing for spam blocking rates of over 99%. Unprotected email poses a critical risk to an enterprise’s most sensitive data: customer information, financial data, trade secrets, and other proprietary information. 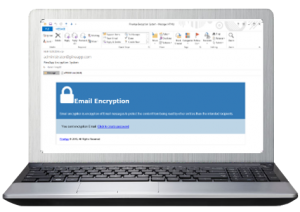 The CYBONET Email Encryption module provides clientless, policy based, email encryption and allows organizations to minimize the risk of a data breach. CYBONET Email Encryption allows you to comply with partner and regulatory mandates for information security and privacy. Email policies can be set based on sender, individual recipient, recipient domain, keyword, or content, enabling confidential messages to be secured automatically. The CYBONET Big Email Data solution allows organizations to safely share large and sensitive data with authorized users both inside and outside of their company encouraging collaboration and allow administrators to gain a full audit trail of the file access history. Easily share content with internal or external parties regardless of the size of the file attachment and/or email. Encourage collaboration in a secure, seamless environment. Multiple layers of security, including encryption of data in transit and at rest, protect files at all times. Sender control level of security and policy can be applied for automation. 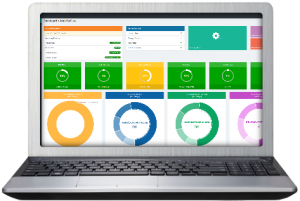 Data Leakage Protection: PineAppMail Secure supplies comprehensive deep content analysis of more than 300 file types to block data leakage and attempted theft. Encryption Module: Policy based delivery of encrypted PDF messaging for secure delivery of email messages. LDAP Support: PineApp Mail Secure supports synchronization with various directory service clients (Exchange, AD, Lotus Notes, etc). Anti-Spam and multi layered Anti-Virus: Blocks of 99.7% of spam and viruses and protects both inbound and outbound email. Email Branding: Amplify marketing and promote consistency by using emails to highlight promotions and social media updates. Advanced Array Management:Enables centralized management of mail-traffic and quarantine logs. Integrated Load Balancing: Internal load balancing enables the scaling of traffic between two or more systems. Cybonet PineApp Mail Secure series provides cutting edge perimeter security for mail servers and stops threats before they enter the network. Download Free Trial of Cybonet PineApp Mail Secure Today!